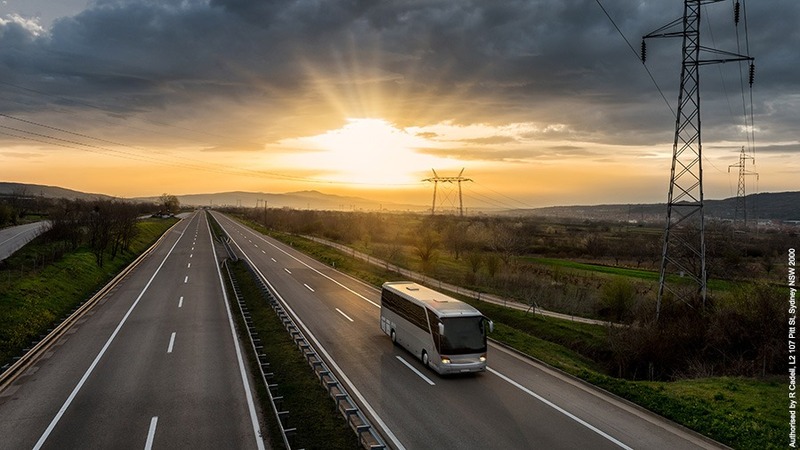 The Nationals in Government are connecting more towns in regional NSW for the first time by introducing 13 new bus routes to 44 rural and regional towns. The new public transport services will change the lives of people living in these communities, providing affordable public transport to a nearby rural town, city or existing public transport service, making it easier for day return trips to another region. For the first time, regional communities will have access to public transport that are often taken for granted in cities. The new scheduled demand driven services will reduce travel costs and make it easier for seniors, families and singles to access health services, work and training, and assist with day-to-day activities like shopping and visiting family and friends. The NSW Nationals in Government are making regional communities more connected and giving rural residents the independence to go where they want, when they want. The new services will particularly benefit seniors and pensioners, and will help those that are at risk of depression and mental illness due to isolation and loneliness. The new routes will be tailor-made to provide these communities with the ability to get out-and-about, with ease. Goodooga and Lightning Ridge via Dubbo; Trunkey Creek to Bathurst; Goondiwindi to Inverell via Boggabilla, Toomelah, North Star, Yetman and Ashford; Conargo to Echuca via Deniliquin; and Cabramurra to Cooma via Cowra, Murringo, Boorowa and Canberra. Labor completely neglected rural and regional NSW. Since 2011 the NSW Nationals have delivered about 1500 new buses in the bush, as well as numerous additional train services in some of our State’s most isolated communities. 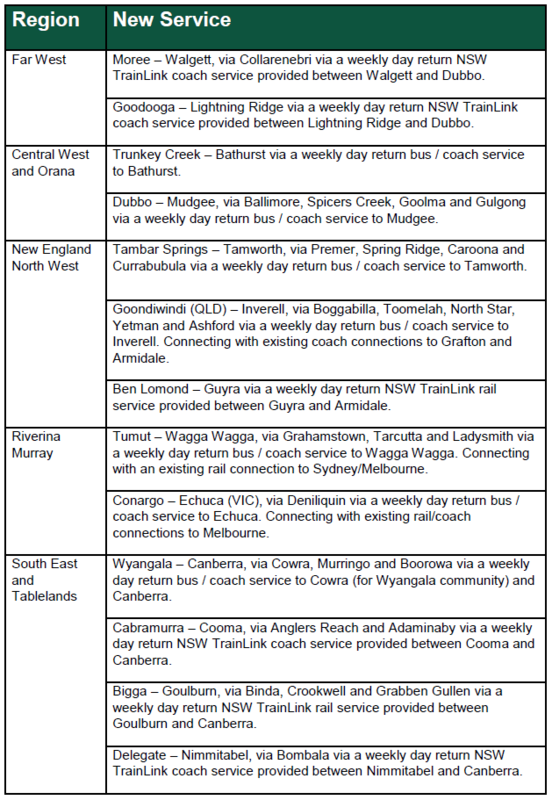 Albury, Bathurst, Barwon, Cootamundra, Dubbo, Goulburn, Monaro, Murray, Northern Tablelands, Tamworth and Upper Hunter. • Boost regional connectivity by linking 44 towns with 13 new public transport routes. • The new scheduled demand driven services will reduce travel costs and make it easier for seniors, families and singles to access essential services, and day-to-day activities like shopping and visiting family and friends.